No, those aren’t the swarthy arms of Ryan Giggs. 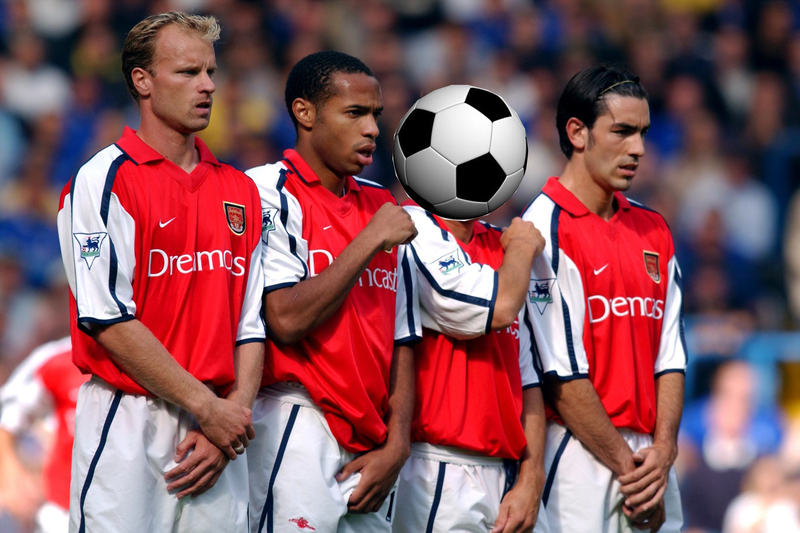 Congrats to those of you who identified the missing baller as United’s failed Argentine experiment. Good work. Stemness goes to the top of the class, as he even identified United’s opponents: Olympiakos in a 2002/03 Champions League tie. Most impressive. Fredrik Ljungberg, Arsenal v. Chelsea? Bit of a stab in the dark….but could it be Davor Suker? I don’t know why, but something about the sleeves is saying Giles Grimandi. Ray Parlour is the right height for that man. surely tat issnt the ole long ball specialist, lee dixon?